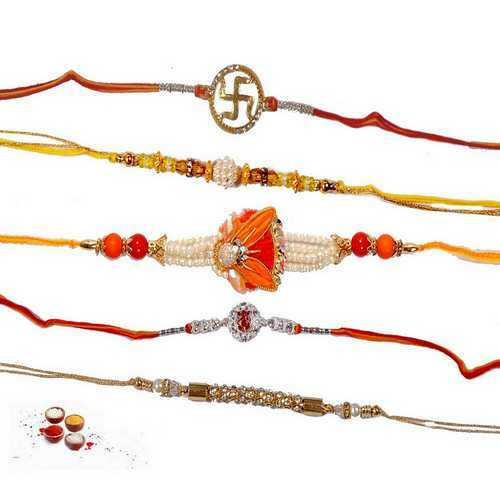 This is wonderful collection of 5 designer, jeweled and ornamented fancy bracelet style rakhis studded with diamond aura premium white stones and american diamonds. They all look very elegant and stylish. 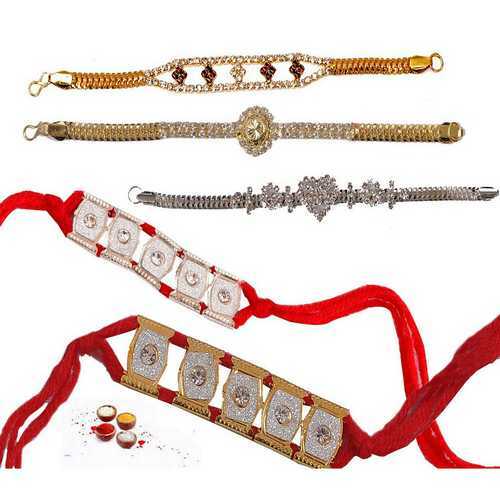 Your brothers shall love and admire these jeweled bracelet rakhis. 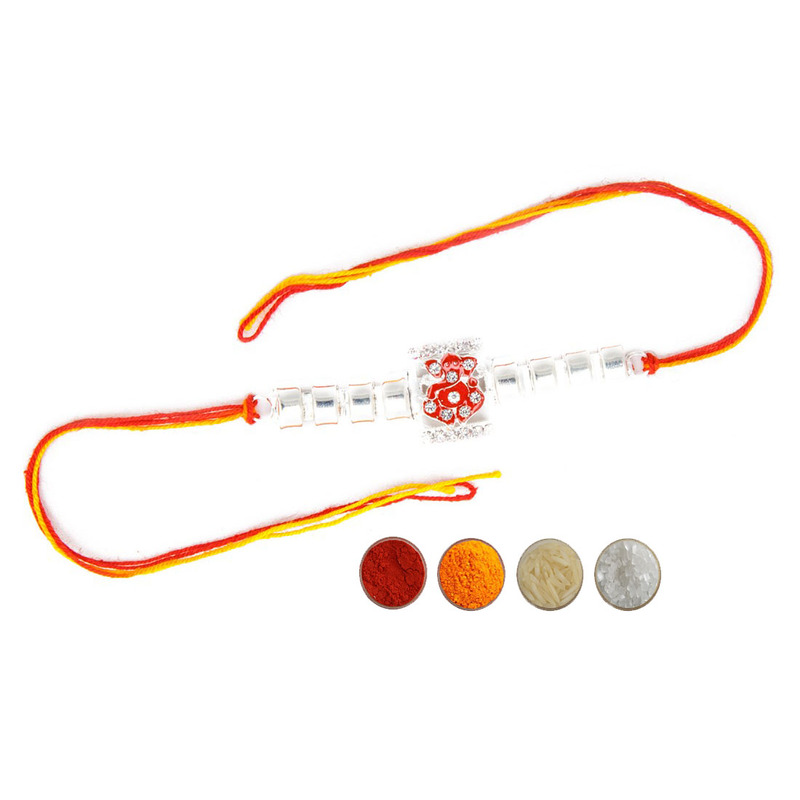 The first three rakhi from the above are designed with golden and sliver chains which look like precious bracelets. 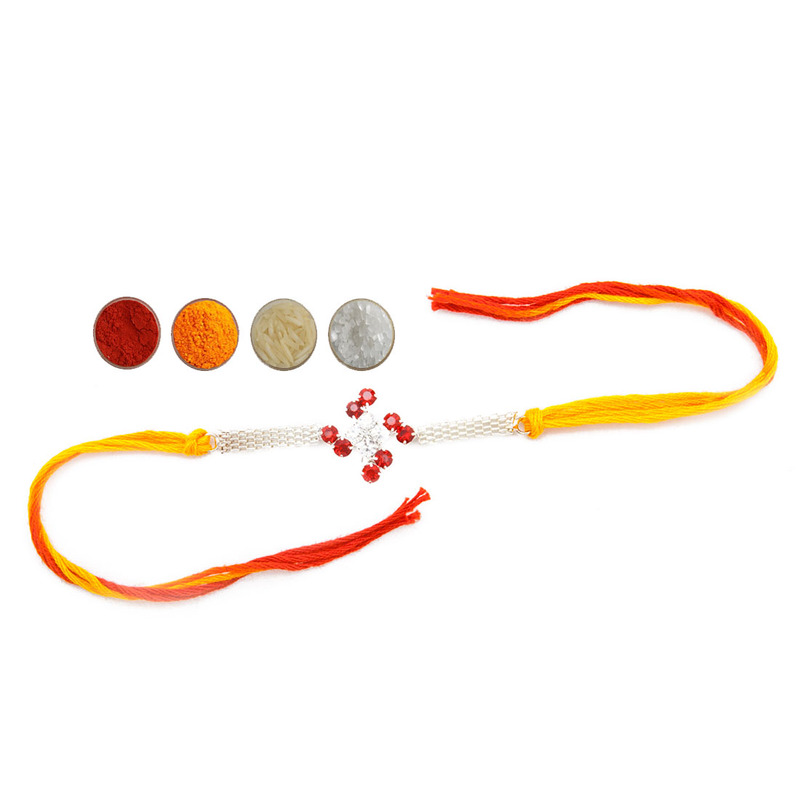 The two other rakhis also look like bracelets. They also have auspicious red threads. 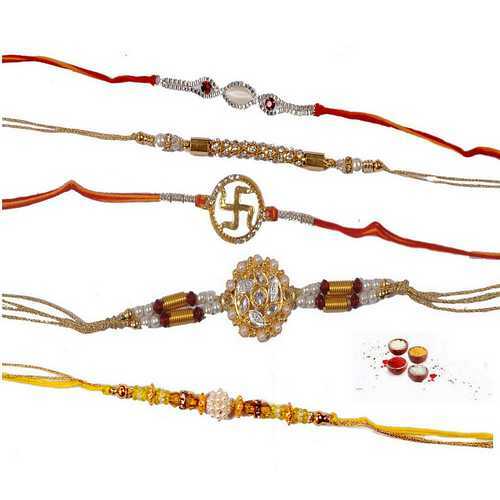 Convey your love and rakhi wishes to your brothers sending these beautiful and attractive rakhis. 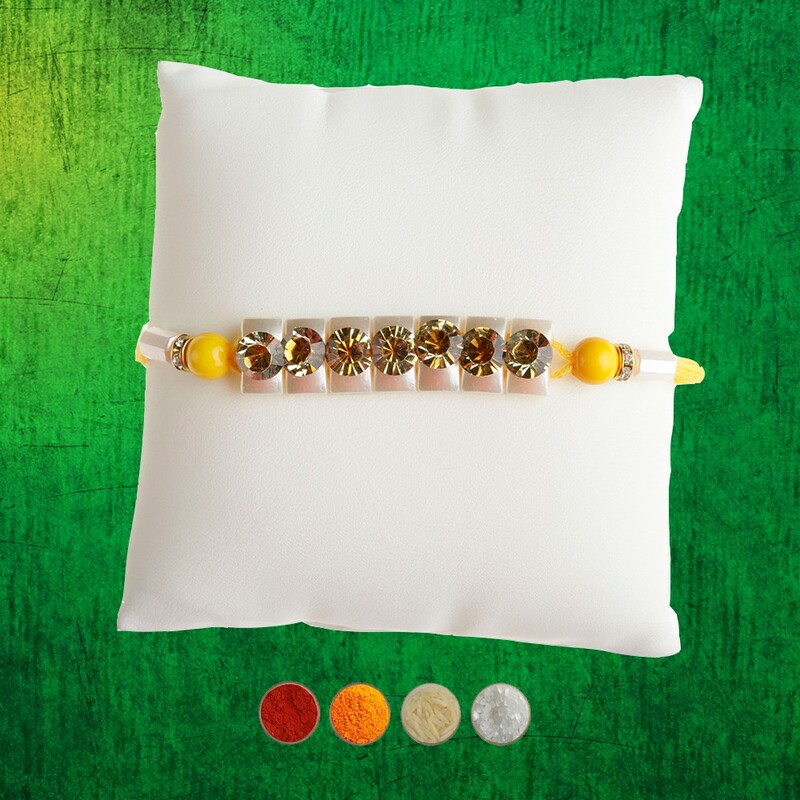 Get the set with complimentary Roli, Chawal, Chandan and Mishri.